Get started with a one-day intro class. Complete all 3 levels and become an accredited practitioner. Take your life and healing into your own hands. Explore the art of two-way healing in our small group workshops. Holistic Pulsing incorporates the feminine principles of softness, gentleness and nurturing. It works with the elements of rhythm and water. • Expand your healing modalities. • Learn from certified experts. Enjoy a day of sharing, nurturing and healing. 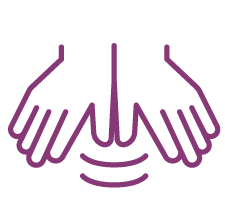 This one day course (10 am – 3 pm) will introduce you to the basics principles of Holistic Pulsing. Experience how to work with different rhythms, and release tension from the outermost to innermost layers. Learn and practice two basic sequences in the supine and prone positions. This workshop will prepare you for the Level 1 Foundation Course. The Level 1 Foundation Workshop (16 hours) is a beautiful, nurturing weekend. It is open to anyone wanting to experience this safe, gentle body-mind therapy. Learn a new skill that will take you deeper into your self-discovery and will leave you feeling incredibly relaxed and peaceful. Done fully clothed, the special types of rocking induce deep relaxation and help to release trauma from the body. The pre-requisite for Level 2 is attendance at Level 1. In Level 2, you will learn new pulses and fine-tune your technique. At the end of this level, you will feel more confident, be proficient in most of the pulses needed to conduct a session with others and have a deeper understanding of the individual process that is possible beyond the technique. The personal sessions/tutorials are 3 hours long. During the first half, you will receive a pulsing treatment from the instructor. It’s important to do your own work before you can heal other people. You’ll begin to enter your own fascinating journey of self-discovery. Then you’ll do a 1.5-hour pulsing session on the teacher. You will receive feedback and start to learn more about the processes behind the technique. 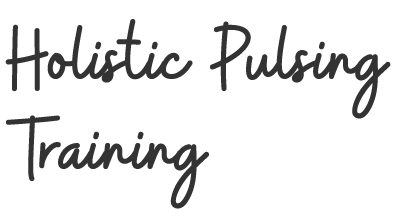 Holistic Pulsing Level 3 Practitioner Training is available to those who have completed Level 2. The aim of this series of workshops is to support students in developing their confidence and skills with the aim of becoming a Certified Holistic Pulsing Practitioner. Each weekend workshop will expand on our previous work. We will cover advanced pulsing techniques, Voice Dialogue and how to read the body-mind. There are 6-weekend workshops spread out over one year. You will also complete 3 one-on-one sessions and 6 supervised sessions between the workshops. 6 weekend workshops, 16 hours each (total of 96 hours). 3 one-on-one sessions/tutorials, 3 hours each (total of 9 hours). 6 supervised sessions/tutorials, 3 hours each (total of 18 hours). These are done with the teacher and two students. Each student performs pulsing on the other student and both receive feedback from the teacher. 12 practice sessions, 1 hr each (total of 12 hours). You will begin to do your own practice sessions with other people and keep a record of what happened in the session. First aid certificate (not included). To be eligible for certification, you must also complete a first aid class (done independently). 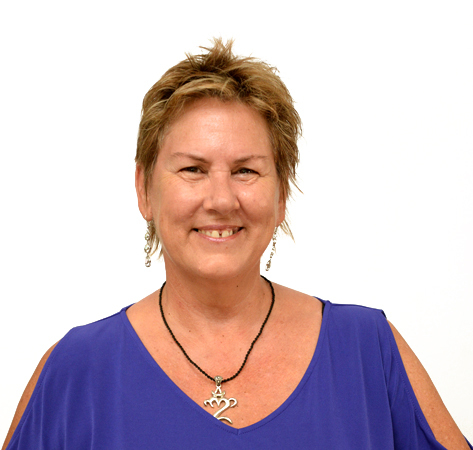 I’m a certified holistic pulsing practitioner and teacher with over 20 years’ experience. I am also the Director of the Australian School of Holistic Pulsing.